In another great victory, Governor Andrew Cuomo has defeated a challenge demanding that votes that say "yes" to supporting public schools be counted with equal weight to those who vote "no." The judge suggested the one-person, one vote thing was outmoded and unnecessary. The judge struck down the NYSUT lawsuit demanding that people who vote "yes" to school budgets have their votes count equally. McGrath noted the Brenner case in Missouri where the U.S. Supreme Court authorized super-majorities, so long as the threshold was not set to discriminate against any specific racial, ethnic, or religious group. 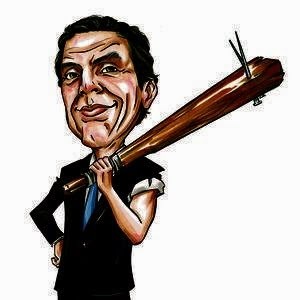 Cuomo commented, "This is a great victory for not only the people of New York, but also for me, the student lobbyist. There's really no way I can help the students for whom I lobby better than by making sure that less money goes to their schools. With fewer teachers and huge class sizes, they'll learn that this world is a tough place, and that they have to fight for everything they want. Unless, of course, your dad is Governor of New York. For example, I've had everything handed to me on a silver platter, and my kids go to private schools where they won't have to put up with this crap." Indeed, it appears the only crap with which Governor Cuomo has to contend is Sandra Lee's Semi-Homemade, but who really knows whether she actually eats that stuff when she isn't on TV? I mean, with all that money they save when they refuse to pay taxes on home improvements, you'd think they could go to a restaurant once in a while, or even hire someone who actually knows how to cook. In any case, after Andrew Cuomo's spectacular defeat of NYSUT, he's become emboldened to extend the supermajority concept to gubernatorial candidates. In fact, armed only with the big stick pictured above, he visited many undecided Senators and Assembly members, and beat the crap out of them until they agreed that any opponent would need to achieve a 60% supermajority to defeat him in the November election. Expedited legislation now appears inevitable. "I'm a reasonable guy," stated the Governor. "I could've made it 90%, but I won't do that unless my numbers drop sufficiently to make it necessary. I am the government, damn it, and after this I'm gonna be President. We won't have had all that nonsense about hanging chads when it takes 60% of the vote to defeat me. One man, one vote is obsolete. By the time I'm through, one man, one and a half votes will be the norm. At least for those people who vote the right way."